I love collecting physical video games, but still have some games on SD cards. Stadia is pure stream. No physical copy or ROM file. Google announced its new gaming platform, Stadia at this year's Game Developers Conference (GDC). It is a cloud-based service allowing games to ge loaded via Google's Chrome browser and streamed to any Chrome-compatible device from smart TVs and Laptops to tablets and phones. Games would stream in high definition up to 4K and 60fps, with the ability to scale up to 8K and 120fps. That's a bold claim considering most cable providers charge additional rates for "fast" internet and not a lot of Netflix content streams at the high end. But there's more to just the gameplay of the cloud model. For me, I will miss the amazing artwork that exists outside the game as well as owning the game itself. Streaming totally throws off my sense of ownership. Even a downloaded game resides on your console's storage. Streaming gives you nothing. For me this would be like dining out three meals every day and never having any food in my home - you wouldn't even need a kitchen, right? I love eating out, but I love gaming snacks too. The streaming model takes the download model one step farther where you have nothing tangible but playing the game. No disc, cartridge, or ROM file. It's eerie to me. I like the tactile feel of a cartridge in my hand. Retro gamer at heart. To me there is more to video games than playing them. I feel the same way about music. I could never put on Judas Priest's British Steel album without thinking how cool the cover art is and how it jumped out at me in a White Plains record store - launching me into a lifetime passion for Priest. Same with games. They are full of visuals within the game, but there is so much external to the playing experience. Box art sets the tone. A graphic manual lends to the game's storyline. There is beauty to physical media that vanishes when it beco=mes a download to an SD card or worse - a data stream. If you have a net connection capable of streaming 4k at 60fps... what is the connection point? Stadia is a console-killer, not a console. The games are managed by Chrome. Most of us are accustomed to streaming to a console with a controller linked via Bluetooth to the console. 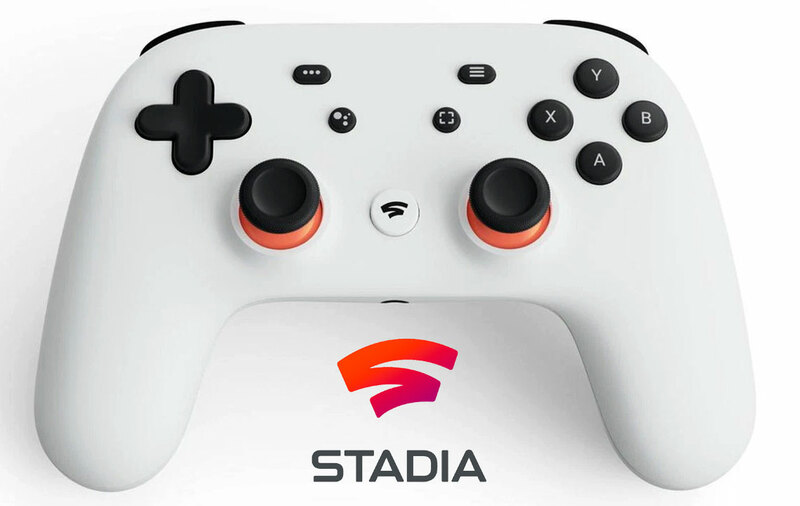 With Stadia, the controller is another device on your wifi network. Chrome manages the game on your device and the controller must "pair" with that device over your wifi. New generations embrace radical change. I want physical games. Millennials want less clutter. It's an interesting scenario, but I feel it will be greatly dependent on your internet speed. In Google's world of "fiber in every house" it may work well, but it seems quite exclusionary. I'm also not a fan of losing all semblance of ownership. Maybe I'm too strict about physical copies, but the frequent hacks we hear about makes me wonder how easily it may be to have your entire game library vanish without a trace. Google seems to be planning a late 2019 launch, so this summer things should ramp up and more info disseminated. Stay tuned.